Advancements in technology are taking the health-care world by storm. Medical professionals herald such advancements as significantly moving the health-care needle, but there’s one game-changing technology in particular that is reshaping how we provide care. Enter telemedicine. Or, “healing at a distance.” So how exactly is telemedicine changing the face of health care, and where do MSPs plug in? Telemedicine, a term actually coined back in the 1970s, rapidly is becoming medical force to be reckoned with. 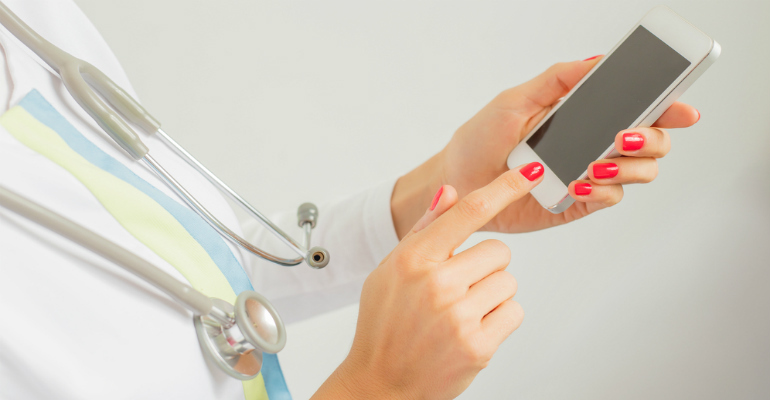 It’s dramatically changing how technology is being used to deliver quality distance care. Providers and patients are able to connect in real time to address a myriad of medical issues and conditions: diabetes, cancer treatment, in-home dialysis, post-surgical care and mental health, to name a few. This is all done through video and telecommunication, quite literally bringing desperately needed care to a patient’s doorstep. An analysis by Eddie Fatakhov, M.D. a board-certified physician, nutritionist and author of “Dr. Fat Off: Simple Life-Long Weight-Loss Solutions,” shows telemedicine solving (or working to solve) three major health-care system issues: limited providers, cost prohibitive care, and access to that care. Limited providers. This comes down to availability and the magic of a button click. As newer health systems are expanding and offering bigger networks, telemedicine steps in as a great solution for medical professionals who are looking to be more available to their patients (imagine that …). Think about it. Telemedicine allows practitioners to be immediately available, giving patients easier access to clinical care and emergency services if needed. Hospital costs are horribly expensive — and hospital visits? Forget about it. But what if there were a way to eliminate the need to set foot in one? Enter telemedicine. By eliminating the need to physically walk through those automatic doors for care that can be handled remotely, costs take a dramatic dive. Access. This is the biggest selling point. Telemedicine is bringing health care and treatment to areas that might not ordinarily have the easiest access to it, proving particularly beneficial for rural and underserved communities. It’s important to note that this service does have its limits, but it’s certainly bridging the gap. This aspect of telemedicine isn’t just for patients. Rural practitioners also have access to continuing education and peer communities that they might otherwise be disconnected from. Jeff Budge, vice president, advisory consulting at OneNeck IT Solutions, offers a unique perspective. Having been on both the provider and personal side of telemedicine, Budge, an IT architect through and through, gleaned knowledge on how the technology has grown and developed, and where there is room for improvement.